The Death Café concept started in England, where “stiff-upper-lip” Brits have an especially hard time talking about death. Founder Jon Underwood modeled it on the café mortel created by Swiss sociologist Bernard Crettaz. Underwood held his first Death Café event September 2011 in London. Hospice volunteer and thanatologist Lizzy Miles coordinated the first U.S. Death Café held in Columbus, Ohio July 2012. The first Death Café west of the Mississippi was held in Albuquerque on September 30, 2012. 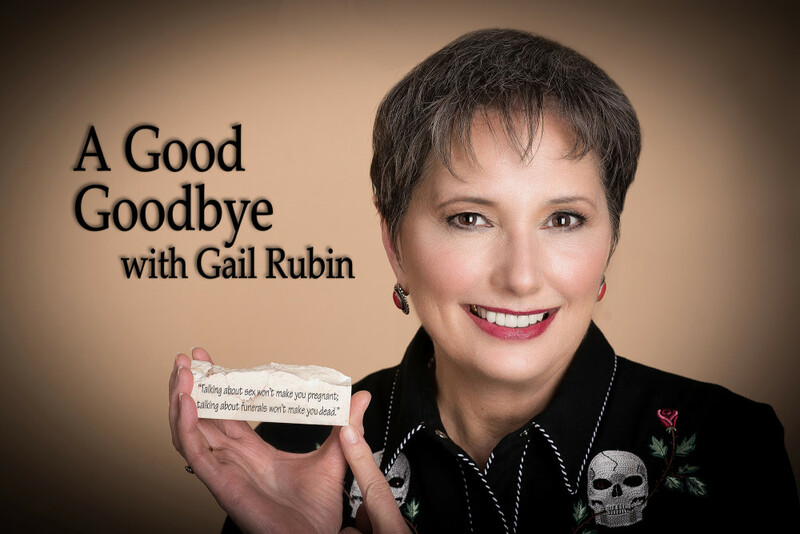 The Albuquerque Death Café is organized by Gail Rubin, author and host of A Good Goodbye: Funeral Planning for Those Who Don’t Plan to Die. As The Doyenne of Death®, she is a death educator who uses funny films to help start serious funeral planning conversations. She is also a radio/TV show host, a Certified Funeral Celebrant and a blogger. Her blog is called The Family Plot (http://TheFamilyPlot.wordpress.com).